Showcase is a key opportunity to strategically connect education providers to innovative EdTech products. 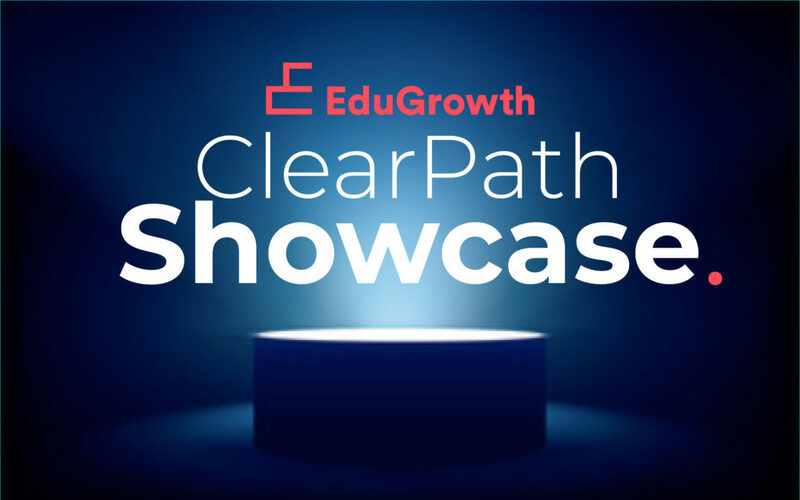 Our ClearPath Showcase will demonstrate six deployment ready products to education providers considering new technologies for their institution. EdTech companies will be strategically matched with higher ed institutions based on need / solution synergy and will provide the opportunity for in-depth conversations. Showcase moves beyond simple pitches to in-depth conversation between EdTech companies and the prospective customers they seek to serve. There is no preconceived expectations to enter into commercial negotiations from this event. All parties should consider this event an opportunity to build initial connection and that future collaboration is only an option. This is a unique opportunity for EdTech companies to promote to key decision makers and gain high quality and qualified leads. More information is available via ClearPath Showcase programs and services page. Applications are now open for EdTech companies.